The 2021 edition of the America’s Cup will see the radical AC75 Fly Monohull racing for the first time. 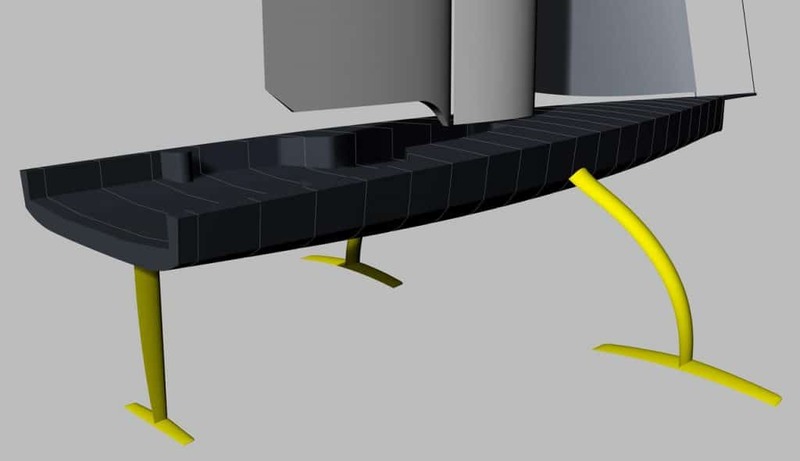 The new rules were announced at the end of March, and Emirates Team New Zealand has already unveiled its design in a class that promises to be even faster and more spectacular than the AC50 catamarans. Philippe Briand and his team are dedicated followers of the America’s Cup, having been main designer in no fewer than six AC campaigns. In fact, he was among the first to start designing an AC75 concept from scratch and has completed a preliminary project. 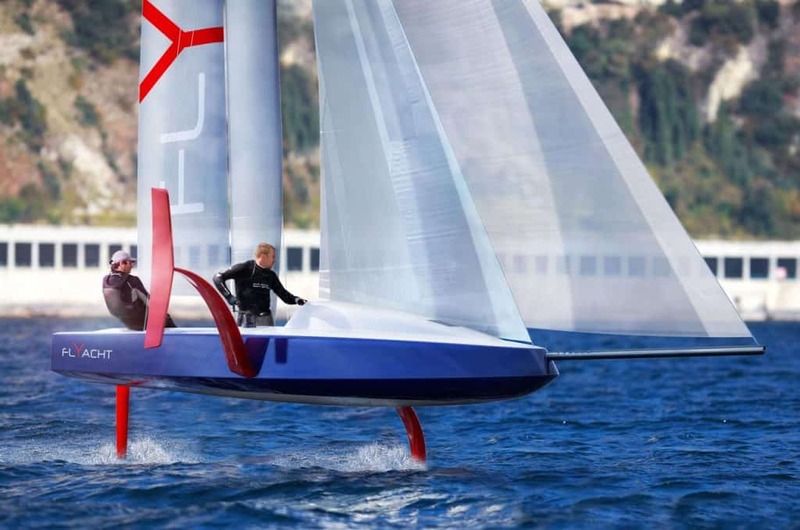 The flying monohull concept takes advantage of the AC’s objective to ‘permit technological development to spearhead the development of sailing and maintain the America’s Cup as the world’s premier sailing event.’ It marries some of the best features of the multihulls, such as high speed and design innovation, with traditional monohull sailing. But instead of a keel, it has two canting, ballasted T-foils and the ability to selfright the boat in the event of a capsize. Like the catamarans, it will be able tack and gybe on the foils. With a 90° righting moment, much like a Mini Transat, the Flyacht is designed to be handled by a two-man crew with the possibility of ‘hiking’ before take-off speed is reached in around 10 knots of true wind speed.